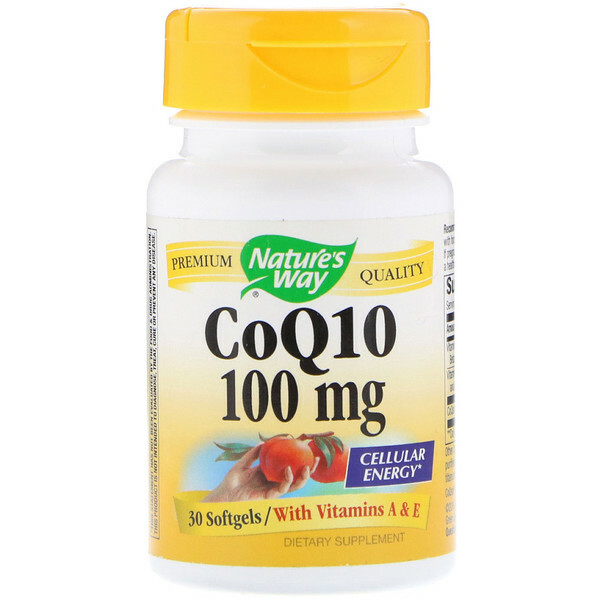 CoQ10 supports normal heart function and cellular energy production. Our CoQ10 is tested and produced to superior quality standards. 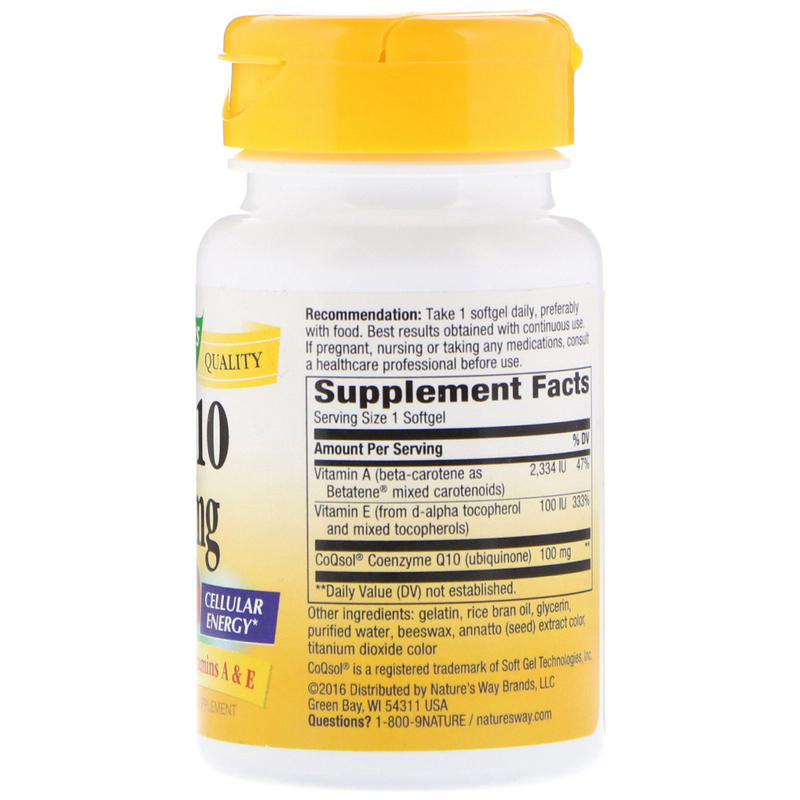 Recommendation: Take 1 softgel daily, preferably with food. Best results obtained with continuous use. Gelatin, rice bran oil, glycerin, purified water, beeswax, annatto (seed) extract color, titanium dioxide color. No sugar, salt, wheat, corn, soy, dairy products, artificial flavors or preservatives.